coffee and the ease of an automatic machine. 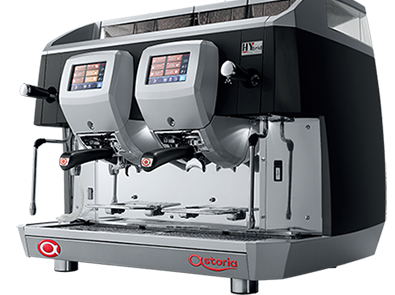 The Hybrid A1 and A2 Models are a high-tech, super-automatic espresso machines that have the entire grinding, dosing and compressing procedures of an automatic machine built in, leading to excellent coffee no matter who is using it. 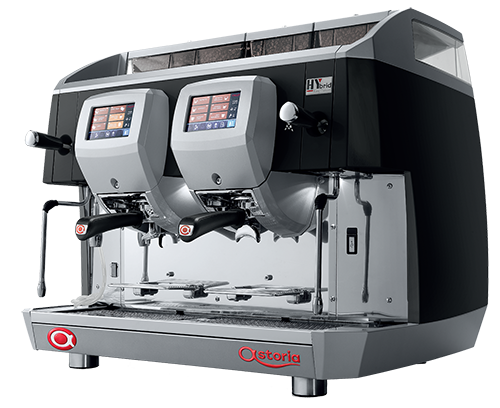 Imported from Italy, this machine is made with advanced technology to allow for maximum reliability under heavy workloads, and is the perfect machine for any business wanting a more authentic coffee experience. This machine is suitable for workplaces with 30+ employees. Anyone in your workplace can be a barista with the high-definition touch screen, dispensing café-quality coffee at the touch of a button. Smart machine technology in the likes of automatic machines enables the machine to be configured to your tastes and preferences. Extremely easy to maintain, this machine sports a fully-opening front panel providing access to the dispensing groups, and automatic wash cycles for maximum cleanliness at all times. 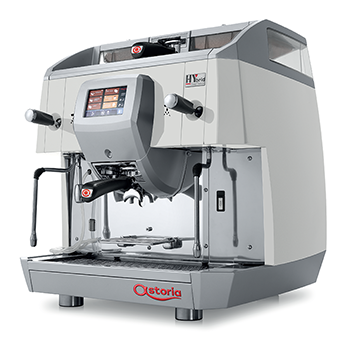 The innovative and unique combination of a traditional espresso machine and an automatic machine allows you to have a more authentic coffee experience. 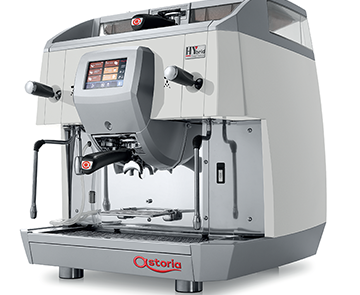 Whether it’s a staff member operating the machine, or your clients enjoying a cup of coffee you made them, this machine is sure to leave a long-lasting impression on anyone who experiences it. With 1 touch screen and 2 coffee grinders, the Hybrid 1 group is ideal for smaller workplaces who still want the authentic coffee experience. Sporting 2 touch screens and 2 or 3 coffee grinders the Hybrid A2 allows for maximum efficiency in busy work environments. 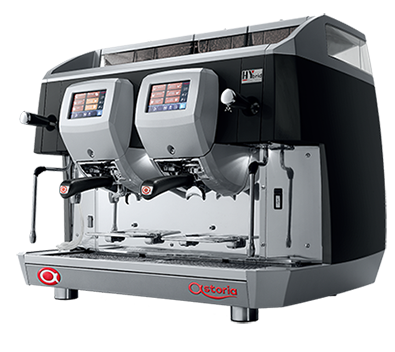 A workplace coffee machine like no other, the Astoria Hybrid semi-automatic espresso machine is the latest in coffee innovation. Fill in the form below to make an enquiry about the Astoria Hybrid A1 or A2. Astoria Hybrid not for you?